The good folks at Garmin gave us a ride from the Las Vegas airport to our hotel to show off its new GPS units, and we were especially impressed with the nuvi 800 (press release)–what they claim is the first GPS to respond to “natural speech” voice commands. Voice-rec isn’t brand-new in the GPS world. (Magellan, for example has offered it for a while.) But the nuvi 800 is very slick. It (almost) always got the commands on the first try and doesn’t require a verbal setup warning that you’re about to give it a command. Just say the names of items on the home screen and on following screens to navigate into the menus. While the map is up and you’re driving, you can ask for any data that applies, for example, like a list of nearby coffee shops, and reroute the nav program if you have an emergency craving for a Vente Americano decaf. The 800 was one of five new products announced at CES. Another that caught our eye was the nuvi 5000 – which sports a roomy 5.2-inch screen and souped up access to MSN direct—with info like traffic information, fuel prices, weather reports, and now enhanced movie listings, news and stock updates. We wonder about the wisdom or reading the news while you’re driving, but the news briefs are just a few sentences that Garmin says are sized for skimming while your at a stoplight or stuck in a traffic jam. The Garmin Sat Nav is an impressive navigation product. It supports all the normal navigation features you would expect from a satnav system, such as being able to plan routes by the fastest or shortest route, journeys by bicycle or pedestrian routes on foot. There is also an Off Road mode which provides point-to-point routes, without regard for roads. If you take a detour or wrong turn whilst travelling then be rest assured that any garmin satnav system will be able to recalculate the route and get you back on track. This is really incredible and amazing! Sat Nav systems are the most popular and portable car accessory systems today.Today they have develope so many hand gps systems that will just make your movement so easy.You will know where ever you are in the world by just aquiring one of these systems.Its has a lot of other accessories too.I wont let the cat out of the bag.Check it out. Heya! ...Very Incredible and marvellous! 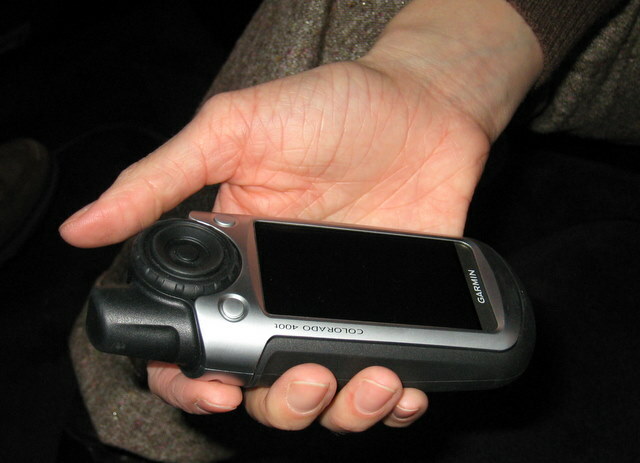 It is the Handheld GPS Receiver. Who says GPS "satellite reception lost! "..That wasn't funny because Handheld GPS Receiver is "Very Sensitive Receive - cannot envision it loosing reception outdoors", fast route calculation. Infact Handheld GPS reciever is an excellent technology, welldesigned, excellent sat lock, high screen and lots of features and very robust. I highly recommend it!!!! 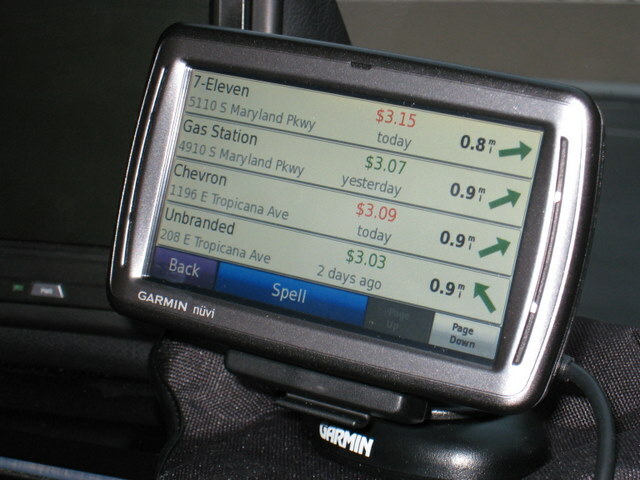 GPS navigation devices from Garmin are well-known. The brand has already created its own distinct identity in this sphere. More recently, the company has directed its endeavours towards the sat nav devices that can be used in cars. The designs of these devices are slick and sophisticated. The screens are large and clear. The quality of the in-built loud speakers leaves little more to be desired. And the features are excellent, to say the least. Hi, it is a remark.To delete a idea, just sign in, and view the posts’ comments, there somebody less fortunate the option to alter or rub out them. This thing looks great for those who like to explore. Right now I ride with a Garmin Quest, Polar HRM and Shimano Flight deck mounted on my handlebars. I do alot of explorative riding and once I started using the Quest, I wouldn't be caught without it. Battery life is a concern, Quest advertizes 20 hrs and is pretty true with back light off but the comment regarding the 305 drain to 6.5 with cadence/hrm is a concern. Still eliminating the handlebar clutter/weight to one device with mapping is real tempting. Plus I get a barometric altimeter which the Quest doesn't have, the gps altimeter is pretty inaccurate and the Polar HRM with barometric costs over $300. Does it support multiple waypoints per route? Quest does, Nuvis don't, critical for programming in exploration routes. I was very satisfied to discover this site. I required thanking you for this giant read!! I absolutely enjoying every little bit of it and I have you bookmarked to check out new stuff you post. i own my 7 inch 2 din dvd player a month ago.It is full touch screen with ipod play,bluetooth and gps navigation.